There was no one way all film was accompanied musically during the silent film era. There was a range. A wide range. Everything from a solo upright to a full symphony. Everything from fully written-out composed scores published, disseminated, rehearsed and performed meticulously…to a blind person with a friend or spouse seated beside them on the bench narrating the film as it unspooled on the screen. Musical improvisation happened. It did because it could. As a soloist, you didn’t have to fit what you were doing in with an ensemble playing and had that latitude. If you could improvise or were willing to try. It was more a part of organists’ training than it was for pianists. Pianists and organists may very well have ventured into this territory to keep themselves interested. They were, after all, playing hour after hour, for the same movie. Even if your local theater’s program changed every two or three days, I’d imagine it got to be a bit of a grind. There were folks who did not read music, and just had an ability play by ear. Some did read music but just had that knack. Harry Weiss, the first film accompanist at the Cinema Arts Centre during the 1970s and 1980s, told me this was the case with him. The first film he ever played was in the late 30s while a student at CCNY. A local student group had rented Intolerance from MoMA, and it came with a score, compiled from classical music. He chose instead to improvise and create his own score. He’d always been an improviser and had grown up going to silent movies as a kid (well, they were just called movies at the time). There was a wide range of what you heard. The soloists who may or may not have included improvisation had repertoires of varying sizes, sheet music in the theater’s library or just what was in their head. When I started I didn’t set out to be an improviser, but there was only so much music and way more film to play to. I was initially playing for one film program a week and the following year it was sometimes 2 or 3 features a week. I taught myself how to do this out of necessity. I’d also met and befriended a film accompanist who’d accompanied silents on theatre organ in the 1920s, Lee Erwin. One of the first times I saw him play I went up to him at the console after the show. There on the music rack, were 3 or 4 pieces of handwritten music manuscript paper. I asked Lee about this, and he told me those were themes, and that he wove these together with improvisation during the show. 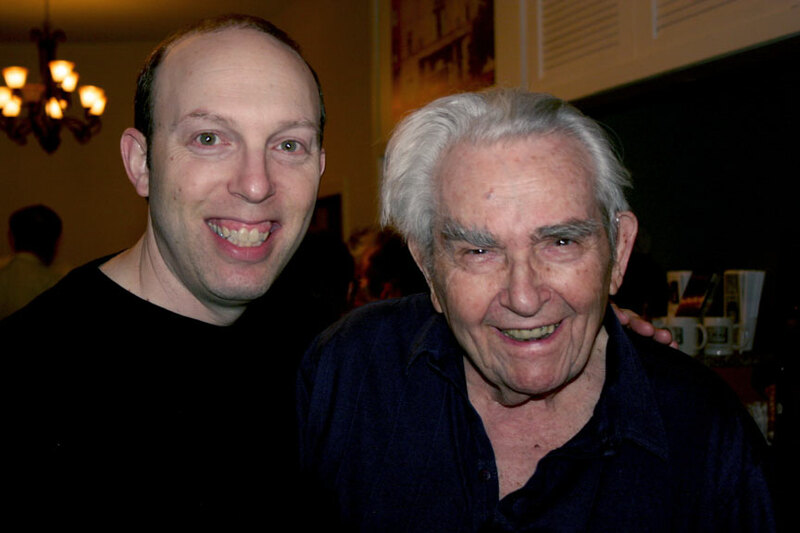 In 2014, I connected with a graduate student in Minnesota who was doing research on Arthur Kleiner, MoMA’s first film accompanist. 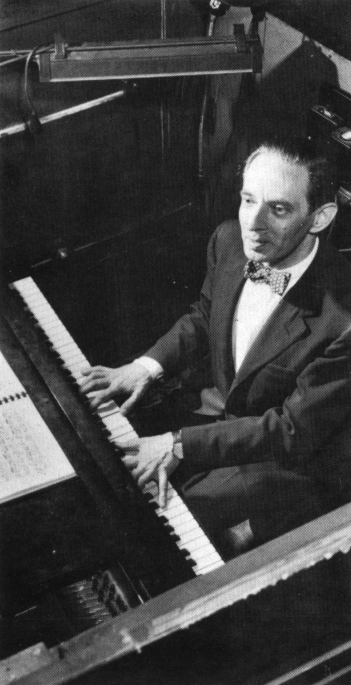 Kleiner played for MoMA’s screenings from the late 30s through 1967. Kleiner had accompanied films in Berlin in the 1920s before coming to the US in the late 1930s, and eventually working as a ballet accompanist for Balanchine and others, as well doing live scoring for MoMA. Kleiner had an office at MoMA with a piano and filing cabinets full of scores. The grad student I was in touch with went through the boxes of music in the special collection at the library of the University of Minnesota. There were many pieces of mood music from the silent era in the boxes, but I was really interested in seeing Kleiner’s own scores for silent films, because I had an idea of doing a series at MoMA where I’d play Kleiner’s music for certain films. I asked the student to take a look at Kleiner’s film scores, to see what they were like and how extensive they were. The scores in the file folders in those boxes turned out to be large sheets of music manuscript with — are you ready for this? — lists of story notes on each of the films, key plot points and things to watch for, and a few musical ideas sketched out. That’s it. There’s an article about about the Arthur Kleiner collection on the University of Minnesota Libraries website here. In 1972 a documentary about silent film scoring was made, “Hollywood’s Musical Moods” – it was conceived by Arthur Kleiner and directed by Christian Blackwood. There’s info about it here. I interviewed Harry Weiss for my Silent Film Music Podcast in 2015, and you can hear it on episodes 9 and 10.